My research aims to understand how we can renew our democracies by communication and deliberation. The key goal is to develop novel links between normative theory and empirical political science, as well as to transform normative ideas into practical applications. My current research focuses on optimal forms of deliberation, deliberative reforms in elite politics, the potential of citizen deliberation in direct democracy, the deliberative abilities of ordinary citizens, deliberation on political rights of foreigners, and the mapping and measuring of deliberation. 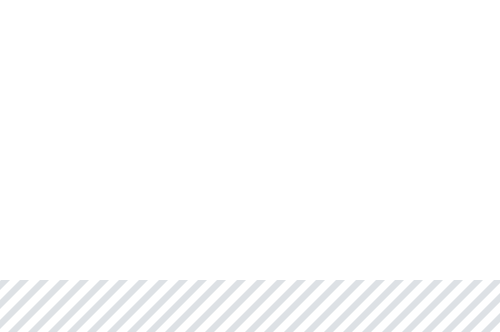 On this site, you can take a look at my different research projects and find links to articles and working papers. Edana Beauvais and André Bächtiger (2016). Taking the Goals of Deliberation Seriously: A Differentiated View on Equality and Equity in Deliberative Designs and Processes. Forthcoming Journal of Public Deliberation. Deliberation must be immunized against coercive power by a baseline of equality. But what does the requirement of equality mean, in practice, for organizers designing deliberative events and forums? This question is complicated by the fact that equality is fundamentally about two—at times contradictory—values. On the one hand, the value of universal moral equality, which requires abstracting from social circumstances. On the other hand, the value of equity, which requires attending to social circumstances. Deliberative institutions vary in their capacity to promote one value over the other, or in their capacity to compromise between the two. We argue that negotiating between these twin values should be done with reference to the different goals of the deliberative process (generating legitimate decisions, producing more informed opinions, promoting mutual respect, enabling accommodation, and so on), and with an eye to the trade-offs that achieving particular goals might require. Focusing on civic forums, we review existing research related to three important aspects of design—participant recruitment, the nature of the interaction, and decision-making—and discuss how different designs impact deliberation’s different normative goals. We argue against a totalizing view of deliberation, where unitary institutions try to achieve all of deliberation’s goals at once, and instead discuss how the trade-offs between deliberation’s different functions can be resolved at the system level. We conclude by arguing that practitioners should not try to realize all deliberative goals—including equality and equity—at once, but rather should prioritize the goals they want to achieve, and select institutional rules and practices that optimally achieve these goals. In the study of deliberation, a largely under-explored area is why some participants polarise their opinion after deliberation and why others moderate them. Opinion polarisation is usually considered a suspicious outcome of deliberation, while moderation is seen as a desirable one. This article takes issue with this view. Results from a Finnish deliberative experiment on immigration show that polarisers and moderators were not different in socioeconomic, cognitive or affective profiles. Moreover, both polarisation and moderation can entail deliberatively desired pathways: in the experiment, both polarisers and moderators learned during deliberation, levels of empathy were fairly high on both sides, and group pressures barely mattered. Finally, the low physical presence of immigrants in some discussion groups was associated with polarisation in the anti-immigrant direction, bolstering longstanding claims regarding the importance of presence for democratic politics. Marlène Gerber, André Bächtiger, Susumu Shikano, Simon Reber and Samuel Rohr (2016). Deliberative Abilities and Influence in a Transnational Deliberative Poll (EuroPolis). Forthcoming British Journal of Political Science. This article investigates the deliberative abilities of ordinary citizens in the context of ‘EuroPolis’, a transnational deliberative poll. Drawing upon a philosophically grounded instrument, an updated version of the Discourse Quality Index (DQI), it explores how capable European citizens are of meeting deliberative ideals; whether socio-economic, cultural and psychological biases affect the ability to deliberate; and whether opinion change results from the exchange of arguments. On the positive side, EuroPolis shows that the ideal deliberator scoring high on all deliberative standards does actually exist, and that participants change their opinions more often when rational justification is used in the discussions. On the negative side, deliberative abilities are unequally distributed: in particular, working-class members are less likely to contribute to a high standard of deliberation. 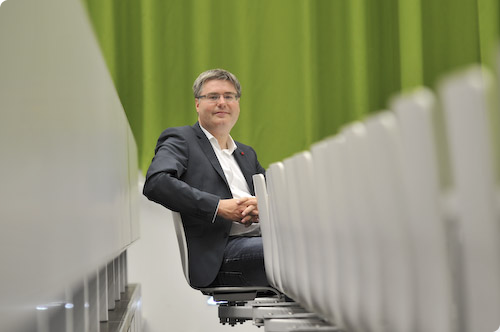 This article explores the evolution of debate quality in the Swiss parliament. Focusing on immigration debates, we employ a psychological construct—cognitive complexity (CC)—which captures both epistemic and accommodative dimensions of political argumentation. We find a decrease in CC in parliamentary immigration debates over time, but this decrease was driven by the rise of the SVP (Swiss People's Party). However, there was almost no “spillover” of this new communication style to other parties. Moreover, we also find a constant difference between the Ständerat and the Nationalrat, with the former scoring higher on CC and thus asserting its role as a “chambre de réflexion” in immigration debates. Our diachronic focus on the quality of political debate takes a novel perspective on the dynamics of consensus democracy as well as on elite political culture. While our results indicate that the rise of the SVP has transformed the traditional consensual and deliberative pattern of Swiss policy-making style into one which is geared towards less accommodation and a higher simplicity of political talk, there is still remarkable resilience against this new style of political interaction. 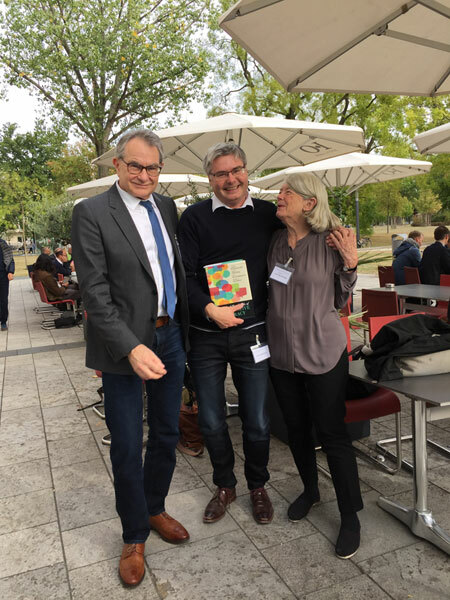 Kimmo Grönlund, André Bächtiger, and Maija Setäla (eds., 2014) Deliberative Minipublics – Involving Citizens in the Democratic Process. Colchester: ECPR Press. 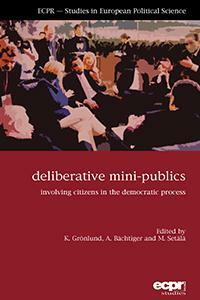 This book offers systematic and novel accounts of the booming phenomenon of deliberative mini-publics. 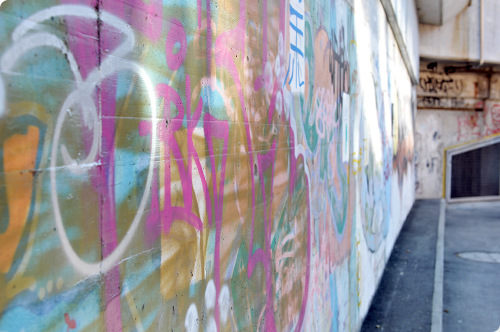 Bringing together leading scholars in the field, it focuses on preconditions, processes, and outcomes of deliberative mini-publics while simultaneously providing a critical assessment of current mini-public designs and practices. The Oxford Handbook of Deliberative Democracy is out! Workshop "The Future of Deliberative Democracy - A Dialogue with Jürgen Habermas"
A unique and fascinating workshop at the University of Stuttgart brought Jürgen Habermas in dialogue with leading deliberative democrats and framing scholars, including Jane Mansbridge, John Dryzek, Simone Chambers, Hélène Landemore, Maija Setälä and Rune Slothuus. Organized by André Bächtiger in collaboration with the IZKT (Internationales Zentrum für Kultur- und Technikforschung der Universität Stuttgart), the workshop aimed at clarifying longstanding conceptual issues while at the same time sketching future avenues for deliberative practice and research. The workshop was organized in connection with the forthcoming Oxford Handbook of Deliberative Democracy (eds. André Bächtiger, John Dryzek, Jane Mansbridge and Mark Warren). A first part of the workshop was dedicated to conceptual issues. Habermas partly contested a minimal (and pluralistic) conception of deliberative democracy, defining deliberation as “mutual communication that involves weighing and reflecting on preferences, values and interests regarding matters of common concern.” (Introduction to the Handbook). According to Habermas, such a minimal definition may be “too liberal” and “individualistic”, underestimating the importance of an inclusive and intersubjectively-shared argumentative process, where participants develop consensual and binding norms together. Such an inclusive and intersubjectively-shared process, so Habermas, is essential to produce legitimacy and social integration in modern societies where a commonly shared religious or moral frame is absent. A second part of the workshop focused on the epistemic dimensions of deliberative democracy. In a fascinating exchange between Jürgen Habermas and Hélène Landemore, two visions of epistemic deliberation emerged: a fully proceduralist vision of epistemic advancement, on the one hand, where participants develop epistemically better answers in the deliberative process in a “co-creative” process (Habermas); and a more procedure-independent vision of epistemic advancement, on the other hand, where “truth” is given externally and is “discovered” by the participants in the deliberative process (Landemore). A final part of the workshop explored the links between deliberation and one of its main contenders in the analysis of political communication, ´framing´. While many define “framing” as the selective emphasis of political reality by strategic elite actors, deliberation is usually seen as bottom-up and authentic communicative process. Rune Slothuus argued that framing can entail normative dimensions as well: competing frames by responsible political elites can help citizens to make reasonable political choices. There was agreement that there is no “neutral” communication or deliberation: every communication is “framed”, i.e. emphasizes some aspects of reality and ignores others. Hence future research should engage in bridge-building activities between framing and deliberation. The workshop ended with an emotional appeal by Jürgen Habermas to understand “the force of the better argument” as a key element to make democracies viable in the 21st century. The Centre for Deliberative Democracy and Global Governance organizes a the three-day summer school which will focus on classical debates and emerging themes in deliberative theory and practice, including deliberative cultures, representation in the deliberative system and methodological innovations in researching deliberative politics. I will talk on methodological innovations and blindspots. Two PhD students from the University of Stuttgart and Lucerne – Saskia Geyer and Simon Beste – will present their work. 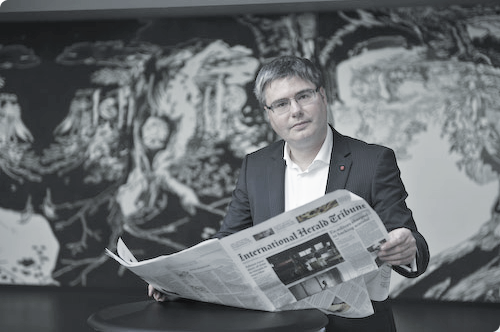 Lecture by Rune Sloothus on Political Framing on Thursday, December 1. The Charlie Hebdo Critical Juncture: European Public Spheres Before and After the Paris Attacks. COSMOS – Centre on Social Movement Studies, Florence 20-21 October 2016. I will give a keynote speech on “Deliberation to the Rescue? Deliberative Potentials and Pitfalls in the Transformation of the European Public Spheres”. There were great panels in the democratic innovation section and my research assistants and PhD students from Stuttgart did a fabulous job in presenting our common and their own research! In 2016/17 I am visiting (adjunct) professor at Åbo Akademi (Finland) in the Minority Research program. This will allow me to pursue existing and new research threads with various researchers at Åbo Akademi, both in Åbo and in Vasa! Marlène Gerber, André Bächtiger, Irena Fiket, Marco R. Steenbergen, and Jürg Steiner (2014). Deliberative and Non-Deliberative Persuasion: Opinion Change in a Pan-European Deliberative Poll (Europolis). European Union Politics 15: 410–429. André Bächtiger und Marlène Gerber (2014). “Gentlemanly conversation’ or vigorous contestation? An exploratory analysis of communication modes in a transnational deliberative poll (Europolis)”. In: Grönlund, Kimmo, André Bächtiger and Maija Setälä (2014). Deliberative Minipublics. Colchester: ECPR Press. André Bächtiger und Dominik Wyss (2013). “Empirische Deliberationsforschung – ein systematischer Überblick”. Zeitschrift für Vergleichende Politikwissenschaft 7: 155-181. Gerald Eisenkopf and André Bächtiger (2013). “Mediation and Conflict Prevention”. Journal of Conflict Resolution 57: 570-597. André Bächtiger, Judith Könemann, Ansgar Jödicke, and Dominik Hangartner (2013; with Roger Husistein, Melanie Zurlinden, Seraina Pedrini, Mirjam Cranmer, and Kathrin Schwaller). “Religious reasons in the public sphere: an empirical study of religious actors’ argumentative patterns in Swiss direct-democratic campaigns.” European Political Science Review 5: 105-131. Seraina Pedrini, André Bächtiger, and Marco R. Steenbergen (2013). “Deliberative Inclusion of Minorities: Patterns of Reciprocity among Linguistic Groups in Switzerland.” European Political Science Review 5: 483-512.